Go birdwatching with a Birding Pal from Brazil. I'm biologist. I'm not specialist, but I love birds and I know where found them. 10km from my house there is a mountain and 30km there are two big governmental natural areas. My English is not so good, but i can talk slowly. Yo puedo hablar en espanol. I bird the Pantanal, Atlantic Forest, Southern Amazon and Cerrado areas (Chapada dos Guimarães, Emas NP, etc). I am a biologist, ornithologist and live in Brazil, central savannah environment with the influence of forest and scrub and altitude environments with the presence of mountains and hilly areas, my area has a rich and diverse birdlife. I can help birders with advice for Brazil in general and go birding in my area. My region is in the "Cerrado", a savanna-like semi-arid biome, with many endemics. I live 200 Km south of Brasilia, in Goiânia, in a "cerrado" vegetation land (Brazilian savanna). This is a city out of the foreign tourisms usual routs, but we have some specialties like the Horned Screamer and I will be happy to show them for anyone who visits us. Black-chested Buzzard-Eagle and King Vulture among others are also on hand. I still exploring the closer parks, but soon have more knowledge of the habitats. I've been birding for more than 10 years, and I'm very passionate about bird photography. I'm available for birding in Rio Grande do Sul state (South Brazil near Uruguay and Argentina), and to occasionally go out birding with a Birding Pal. Amateur Birdwatcher, knows South of Brazil hotspots, live in Porto Alegre city, capital of Rio Grande do Sul country. The Porto Alegre Birdwatcher Club performed many bird trips throughout the year, restricted to Rio Grande do Sul country. Our country has mountains at the north half (Mata Atlantica) and flat land (Pampa) at the south half. Some of our endemic species are listed in our two hotspots. I have always been a birder at heart, and now live in a preserved area where there are many types of birds to see, from hawks to hummingbirds, most of which I do not yet begin to know how to classify. I'm considering starting up a BBB (Birding Bread and Breakfast) here, and am researching the subject, out of both personal interest and in order to find out what Birders are looking for when they plan a tour abroad. I'd love to receive input and pointers from menbers of the group. Thanks, Lanora. I'm available for info about birding in Sao Paulo state (Atlantic Forest), and to occasionally go out birding with a Birdingpal. The nearest big town from where I live is Sao Jose dos Campos, I'm not too far away from Sao Paulo (120km). Taubate is situated on a valley, having on one side the mountains of the "Serra da Mantiqueira" and on the other side a National Park, "Serra do Mar", that leads to the seaside. As well as a orchid enthusiast, I'm interested in birds, I know the names of the most common birds in my area. I'm biologist, focusing my studies in the Brazilian birds since 2006, thru bird inventorie, research and birdwatching. 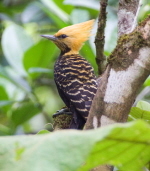 As a birding guide I have been working as a resident guide in Cristalino Lodge, and the Pantanal, and now a days I'm focusing my efforts in the awesome and endangered Atlantic forest, trying to help to preserve this magnificent and unique landscape, and also guiding custom tours to Pantanal and Amazonia. Intervales, Cantareira, Campos do Jordao and Serra do Mar State Park (Sao Paulo), south and north Sao Paulo coast, Itatiaia, Bocaina National Parks, REGUA (Rio de Janeiro), Cipa and Canastra National Parks (Minas Gerais), Cristalino Lodge, North and South Pantanal. I grew up in the countryside and started my passion for birds helping my father to take care of the aviary on our backyard. At the age of 17 I moved to the big Rio de Janeiro city and graduated journalist in 1986. I fell in love with birding in 1996 when Tom and Heidi, my friends from Florida, sent me a pair of binoculars and a book of the Brazilian birds in 1996. Since them I have explored every road and trail of the state of Rio de Janeiro and parts of São Paulo. 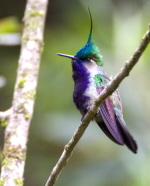 Rio de Janeiro and São Paulo states have some of the best hotspots for Atlantic forest birding in the southeast part of Brazil, including Itatiaia NP, Serra dos Orgãos NP, Bocaina NP, Ubatuba, among others. Itatiaia national Park, Serra dos Orgãos National Park, Tijuca national Park, Bocaina National Park, Angra dos Reis, Carmo, Sumidouro, Ubatuba, Campos do Jordão, Serra da Canastra. When not birding I work as a local guide for the city of Rio de Janeiro. Volleyball on the beach and cinema are my other passions. The biggest goal of Calyptura Expeditions is to put birding close together with conservation. The rarest species are the ones in most need of attention for their protection. Focusing on taking birders into different habitats through specific regions of Brazil to find a desired selection of birds, endemic or target species. Offering planned itineraries to clients as well as custom affordable and flexible packages to suit the birders needs, always at places with good accessibility and safety. I'm "in the search for the rarest!". I'm curious to see your target list! Sao Paulo, Trilha dos Tucanos, Ubatuba, Paraty, Itatiaia NP, Intervales EP, Regua (RJ), Pantanal, Amazon (Cristalino Jungle Lodge and central amazon on hotel boats). There are nice trails near to the waterfalls that can be visited with a great diversity of birds. 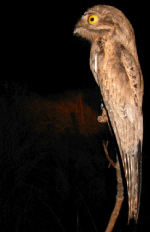 We can also arrange visits to nocturnal sightings of owls, nightjars, potoos and Nighthawks. During the tour. 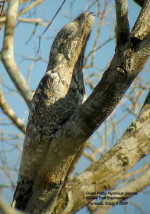 There is the possibility of spotting birds and know the local flora species. Remembering that we are inside a dense forest and all its wildlife. I live in northern Brazil’s Amazon Delta in the state of Pará. I have been a professional guide for the past 20 years, specializing in birdwatching for last 10. I have seen and recognize 486 species in the region and the Marajó Island in the Amazon Delta is a must for birding variable ecosystems.